Infrared Associates, Inc. offers high quality Thermoelectrically Cooled Photoconductive HgCdTe (MCT)detectors. They offer high performance, with ease of operation. Standard detectors are optimized in the 2µm to 5µm wavelength. Extended range detectors operate in the wavelength region beyond 5µm. Optically Enhanced detectors are available with both reflective and refractive optical elements to improve the collection efficiency of these devices. The apparent enhanced responsivity and D*, of theses detectors, relies on the ability of the optical components to refocus energy, which might not normally be incident, on the detector element. 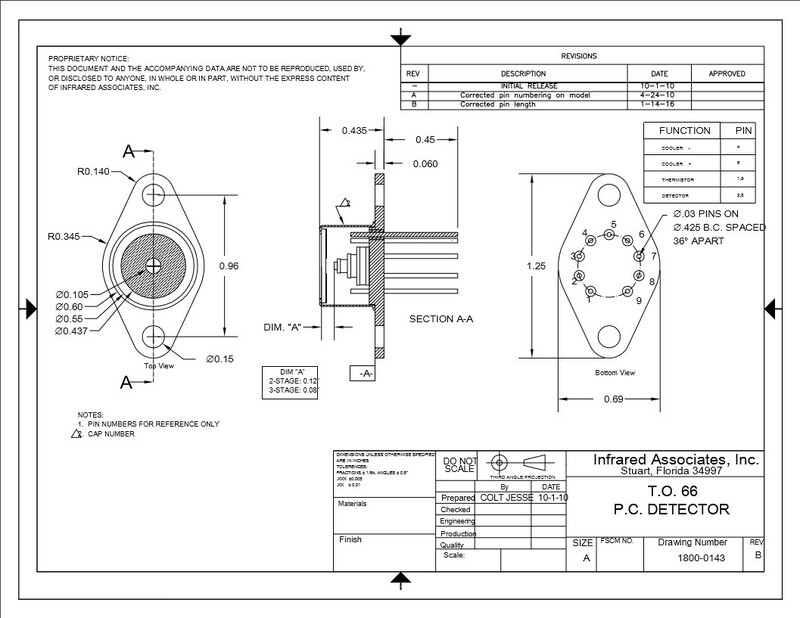 These devices are most suitable for applications in which the energy incident is either collimated or diverging. The optically enhanced detectors are, therefore, ideally suited for applications in which fiber optics are employed. The detectors are mounted on two-stage, three-stage, or four-stage coolers in TO style packages as shown in the tables below. A calibrated thermistor is included in the package for accurate temperature monitoring and/or temperature control. Soldered windows and welded caps are used to hermetically seal the packages. The packages are backfilled with inert gas for more efficient cooler operation. They can be supplied with the following accessories: preamplifiers, power supplies, heat sinks and temperature controllers. 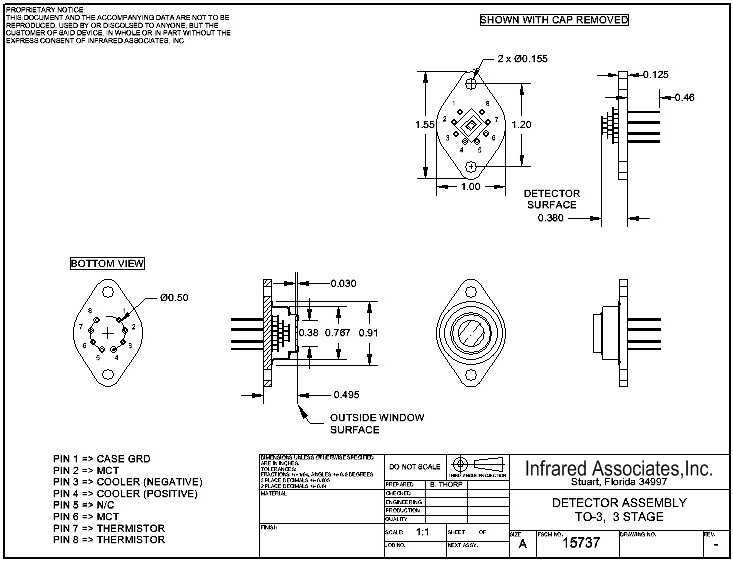 Other wavelengths cutoffs are available on a limited basis, contact Infrared Associates, Inc. with your specific requirements.